Display the all-new Samsung S10 in all its glory with the protection it deserves. Give the original look of the S10 an upgrade with Liquid Crystal. Lightweight and clear shell showcases the S10 with clarity. Samsung Galaxy S8 colourful case. Suitable for Samsung Galaxy s8 Only. 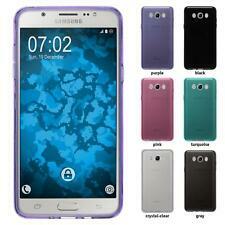 Silicone protective case, lightweight, easy to install. Display the all-new J4 2018 in all its glory with the protection it deserves. Give the original look of the J4 2018 an upgrade with Liquid Crystal. Samsung J4 2018 Clear Transparent Silicone Case Premium Tempered Glass. • Samsung Galaxy S8 Case is Ultra Thin TPU Case is light weight and easy to install due to its flexible TPU build. • Its slim yet form-fitted design makes it perfect for flaunting your new S8. 1X Ultra Thin TPU Transparent Case. Ü Combination of TPU and Poly carbonate for drop and scratch protection. ü Compatible with Samsung Galaxy Note 7. Ø With Charging Port Cut Out. ü Slim and form fitted to show the perfect shape of your device. Comfortable feel: Soft and elastic TPU material that is non-slip and easy to grasp for a more comfortable feel. Compatibility: Designed exclusively for the Samsung Galaxy Note 9. Lightweight design and stylish appearance, perfect for your phone. 1 x Samsung Galaxy Note 9 Case. Perfectly Fit: This case is specially designed forSamsung Galaxy Note 9. Touch-sensitive screen protector won’t interfere with functionality. And the smart choice for protection is frē for Galaxy S4. What makes a frē case so protective is the integrated scratch protector. The thinnest, lightest, all-protective Galaxy S4 case ever made. Your frē for Galaxy S4 is backed by a 1-year warranty. Honju TPU case Samsung Galaxy S8 plus S8 transparent protective cover back cover. Original Honju TPUCASE. Compatibility: Galaxy S8 . Modellkompatibilität Für Samsung Galaxy S8 . We're all only human and therefore not error-free. Honju TPU case Samsung Galaxy S7 transparent protective cover back cover. Original Honju TPUCASE. Compatibility: Galaxy S7. Modellkompatibilität Für Samsung Galaxy S7. We're all only human and therefore not error-free. Honju TPU case Samsung Galaxy S8 transparent protective cover back cover. Original Honju TPUCASE. Compatibility: Galaxy S8. Modellkompatibilität Für Samsung Galaxy S8. We're all only human and therefore not error-free. Honju TPU case Samsung Galaxy A3 (2017) transparent protective cover back cover. Original Honju TPUCASE. Compatibility: Galaxy A3 (2017). Modellkompatibilität Für Samsung Galaxy A3 (2017). We're all only human and therefore not error-free. Honju TPU case Samsung Galaxy A5 (2017) A520 transparent protective cover back cover. Original Honju TPUCASE. Compatibility: Galaxy A5 (2017). Modellkompatibilität Für Samsung Galaxy A5 (2017). We're all only human and therefore not error-free. Honju TPU case Samsung Galaxy J5 (2017) transparent protective cover back cover. Original Honju TPUCASE. Compatibility: Galaxy J5 (2017). Modellkompatibilität Für Samsung Galaxy J5 (2017). We're all only human and therefore not error-free.